Results in line with expectations. Ascendas REIT’s proposed acquisition of UK logistics portfolio for S$373.15m is estimated to boost pro-forma FY18 DPU by 1.2%. We expect Ascendas REIT to make further acquisitions in the UK, as the market provides scalability. Back home, Singapore industrial rents continue to weaken albeit marginally. Management noted that there are some market expectations of a gradual recovery of the industrial property market, on the back of improving demand-supply dynamics. Maintain BUY with a lower target price of S$3.01. Results in line with expectations; maintain BUY with a lower target price of S$3.01, based on DDM (required rate of return: 6.7%, terminal growth: 2.0%). 1QFY19 DPU of 4.002 S cents was down 1.2% y-o-y, due to the absence of a one-off distribution. Excluding the one-off distribution, 1QFY19 DPU would have improved by 4% y-o-y. 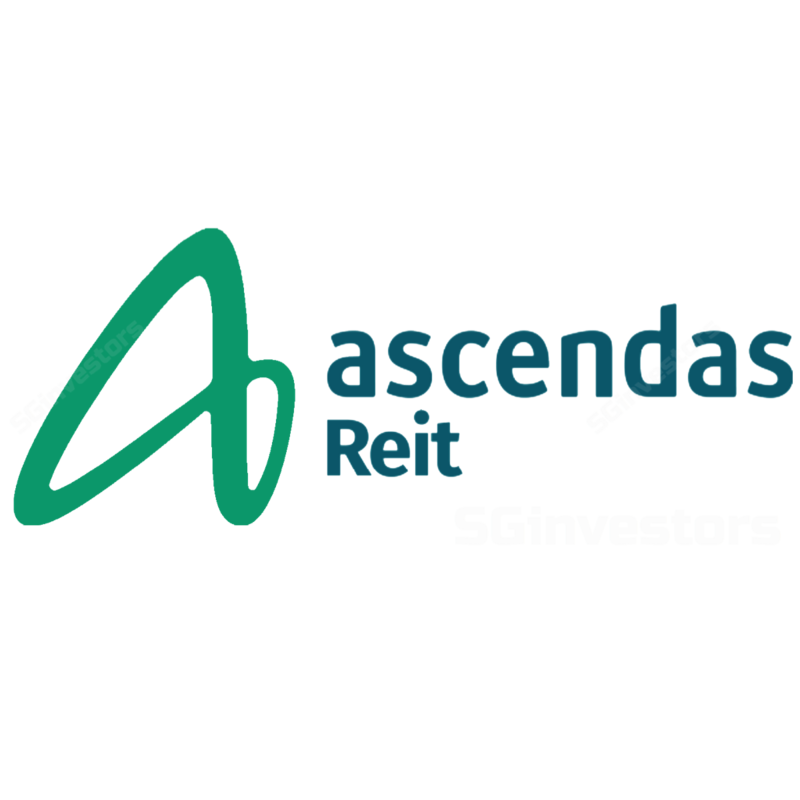 Ascendas REIT’s 1QFY19 gross revenue and NPI grew by 1.5% and 3.8% respectively, due to higher contributions from newly-acquired properties, 100 Wickham Street and 108 Wickham Street in Brisbane, Australia, and a redeveloped property at 50 Kallang Avenue in Singapore. NPI was also higher, as a result of lower operating expenses (-4.2%yoy) from reduced property taxes, due to retrospective downward revisions in the annual value of certain properties. The results are in line with expectations, coming in at 24.4% of our full-year estimates. Overall portfolio occupancy declined marginally to 90.5% (+0.6ppt q-o-q). Singapore portfolio occupancy declined to 89.2% (vs 89.5% in 4QFY18), dragged by the newly completed redevelopment at 20 Tuas Ave 1 (which was 51.1% occupied at end of the quarter), as well as non-renewals at SB Building and No.31 International Business Park. The Austrilian portfolio maintained a high occupancy of 98.6% (vs 98.5% in 4QFY18). The Singapore portfolio had 10.5% reversion for leases renewed in multi-tenant buildings in Singapore during 1QFY19, which were led by leasing demand from the transport and storage sector (ie accounted for 46.7% of new demand by gross revenue during the quarter). No leases were renewed for its Australia portfolio. Management expects rent reversion to see slight improvement in FY19. Gearing ticked up slightly but financials still very healthy. Aggregate leverage rose to 35.7% in 1QFY19 from 34.4% in 4QFY18). At 40%, the debt headroom is estimated at S$0.7b (before factoring in the latest proposed acquisition of the UK logistics assets) to allow more accretive acquisitions. Average debt maturity also improved from 3.2 years to 3.4 years following the issue of HK$729m 7-year notes in May 18. All-in debt cost remained stable at 2.9% as at Jun 18 with 72.4% of borrowings at fixed rates. Ascendas REIT announced the acquisition of a portfolio of logistics properties in UK for S$373.15m. The portfolio includes 12 logistics properties located in key UK distribution centres, with a gross internal area of 242,633 sqm. These properties are 100% occupied (excluding rental top-up, the occupancy is 92%) and have a long-weighted average lease to expiry of 14.6 years with tenants that include DHL, Bibby Distribution, Local Government bodies as well as Amazon. We are positive on the acquisition, as it is accretive, with an expected 1.2% uplift to FY18 DPU. In addition, given the long leases in UK, Ascendas REIT’s WALE should improve from 4.2 years to 4.4 years. Upon completion of the acquisition, its total portfolio GFA will rise by 6.5% to 3,991,883sqm. The acquisition is expected to complete by 3Q18. Expect further acquisitions in new markets, especially the UK. Looking ahead, we see more potential for acquisitions in the UK as the depth of the UK market provides scalability. Logistics properties in the UK also provide attractive spread to risk-free rates, and given the tight supply of logistics properties, prospects remain promising. While Brexit continues to be an overhang, demand remains relatively resilient due to the UK’s large domestic market (5th largest global economy) and growth of e-commerce, which is driving demand in logistics sector. Singapore industrial rents still declining, albeit marginally. Industrial rents weakened across the board on a q-o-q and y-o-y basis, with the sharpest decline in upper floor factory rents (-0.8% q-o-q and -4.7% y-o-y), according to CBRE data. Although most occupiers were consolidating, there were also some which expanded, led by semiconductor, petrochemicals, and logistics trade sectors. The moderating level of supply in 2018 is expected to provide some relief to the market; and allow spaces from 2017 and the past five years to be absorbed. Management noted that there are some market expectations of a gradual recovery of the industrial property market, on the back of improving demand-supply dynamics. We increase our FY19-21 DPU by around 1%, factoring in contributions from the accretive acquisition of its UK logistics portfolio. Maintain BUY with a lower target price of S$3.01 (previously S$3.05) to reflect a 25bp rise in our risk-free rate assumption to 2.75%. Our valuation is based on DDM (required rate of return: 6.7%, terminal growth: 2.0%). Positive rental reversions, pick-up in industrial activities, and GDP growth.